Determining the source of a Wifi antenna is one thing. Finding a pulsar is another matter entirely and with a big enough antenna reflector, even an amateur astronomer can do it. 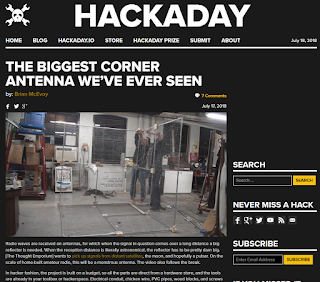 A corner antenna does not need a lot of the fine-tuning that a typical homemade antenna requires since it is three perpendicular planes with an antenna sitting in the middle.